St. John Arena opens its doors for first time in nearly a month on Sunday, Jan. 6, for a top-five tilt pitting the second-ranked Buckeyes (4-0) vs. No. 4 North Carolina State (9-1). The non-conference tussle is set for a 6:05 p.m. ET start and will be broadcast live on ESPN2. 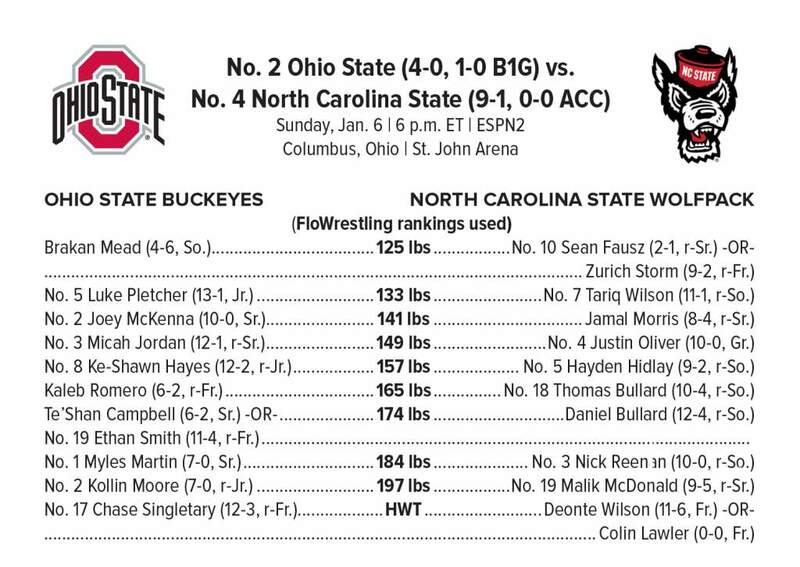 Sunday marks North Carolina State’s first stop in Columbus and just the fifth dual between Ohio State and the Wolfpack since the initial meeting in 1964. The Buckeyes own a 3-0-1 edge in the all-time series: 1964 (W, 24-5), 1989 (T, 17-17), 1993 (W, 27-15) and 2018 (W, 29-6). 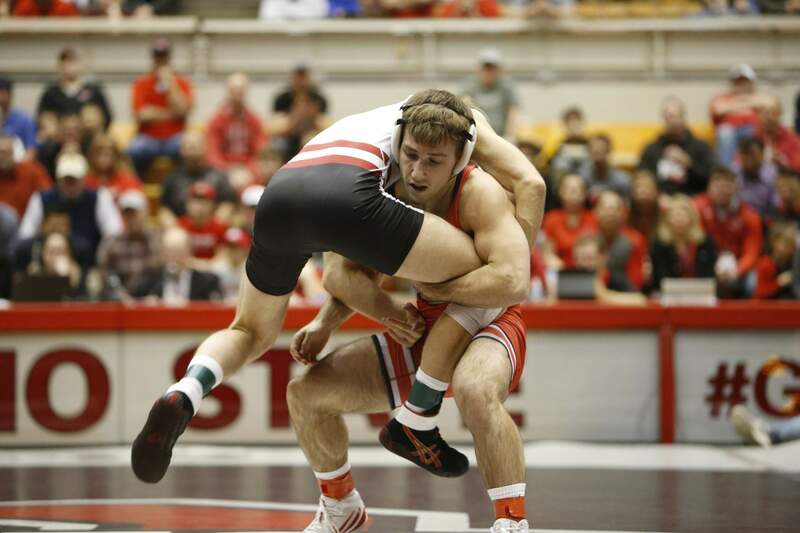 Ohio State began the 2018-19 Big Ten slate with a 23-13 victory over Wisconsin on Dec. 9, highlighted by redshirt freshman Ethan Smith’s thrilling come-from-behind win over No. 9 Ryan Christensen in the 174-pound bout. Micah Jordan, Myles Martin, Joey McKenna, Kollin Moore and Luke Pletcher were triumphant as well. Competing unattached at the 56th Midlands Championships in Chicago, true freshmen Gavin Hoffman and Sammy Sasso both reached the podium. Hoffman placed fifth at 184 pounds with a 5-2 record and two tech falls. 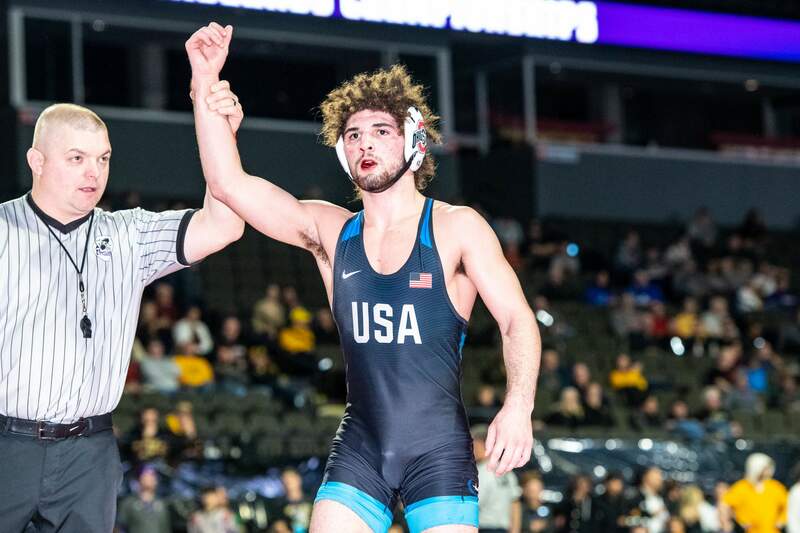 Sasso responded to a controversial call not going in his favor to end his opening bout by rattling of seven straight wins for third place at 149 pounds. 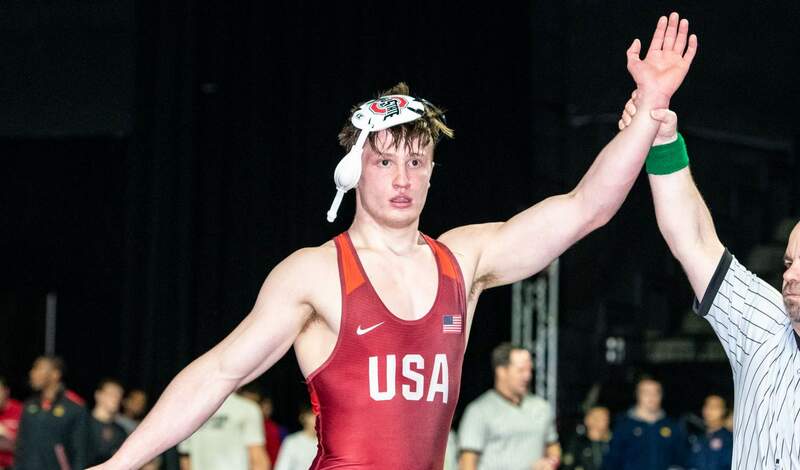 His run through the wrestlebacks included four wins over nationally-ranked opponents to make a splash on the national stage. Luke Pletcher has registered bonus points in eight of 13 wins this season with three major decisions, three pins and a pair of tech falls. He’s made extra team tallies a point of emphasis after posting just four bonus point efforts in 30 wins last season.